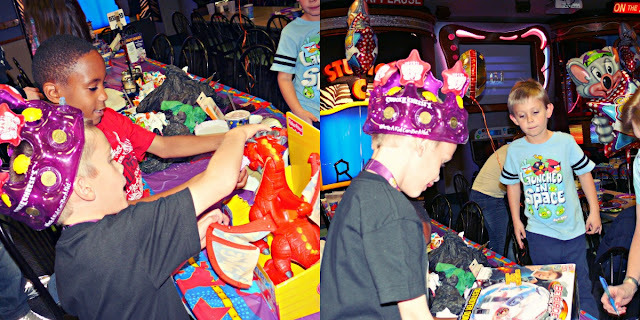 Calebs chuck e cheeses birthday party! My little boy Caleb turned 6 and we celebrated chuck e cheese style, YES I got brave and invited his entire classroom and some. 16 kids and around 20+ adults total! I had given Caleb some options to choose from and the fun center was his choice. Great time, maybe at 8 years we will try something similar again! Caleb's birthday theme was "Beyblades" I have a custom personalized shirt made for him, invites, balloon etc. were all beyblade as well. pizza, drinks, game tokens were part of the package at check e cheese. 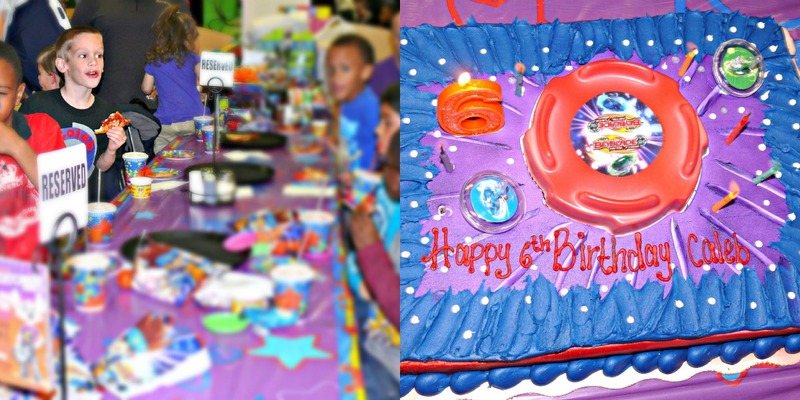 Caleb's cake on the right, beyblade! 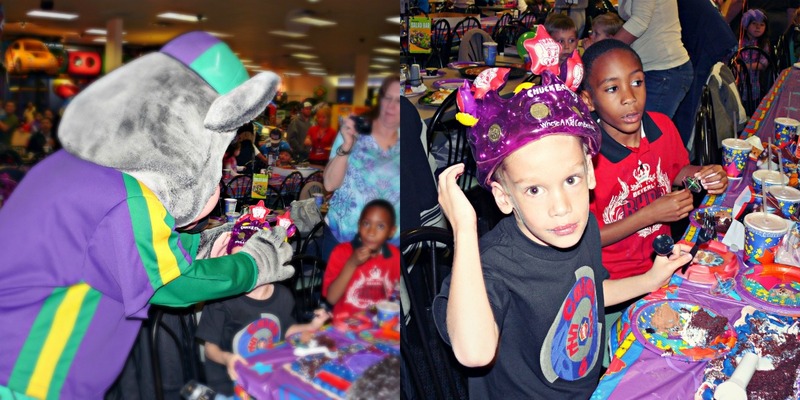 A visit from chuck e cheese himself, crowning the birthday boy! Wow! I definitely think he scored a good amount of gifts! Goodness. :) It makes me miss birthdays a little, admittedly. Well, let me rephrase that--it makes me miss my KID birthdays. :) We don't have as brightly-colored toys anymore. 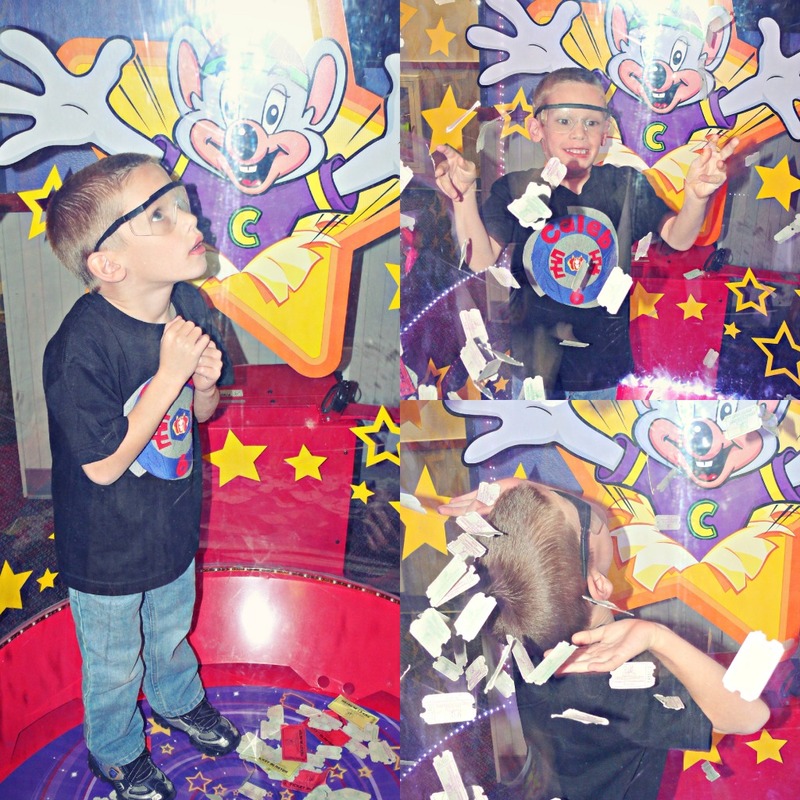 I do remember Chuck E. Cheese--my mom used to take my brother and I there sometimes. I always had a lot of fun! I totally loved my b-days growing up and mom would always make them fun for me. Good stuff..
Aww looks like you guys had a great day. 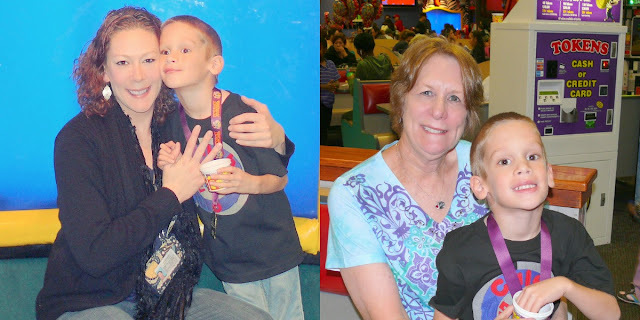 Thanks for co-hosting this weeks blog hop. Im one of your newest followers. I would love for you to follow me back. 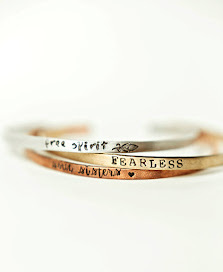 New follower via GFC from the Twitter, Facebook, and Blog Hop! Would love it if you could swing by and follow back if you get a chance!